Here at Columbia Sanitary we do more the just pump septic and rent Portable toilets. We offer several other services Including septic tank maintenance, rv pumping, septic tank inspections, Plus more! Below is a description of some of those services. We pump all shape and sizes of RVs. We pump both black & grey water tanks. We can service either one time or on a regular basis. No need to bring it to us, we come to you! 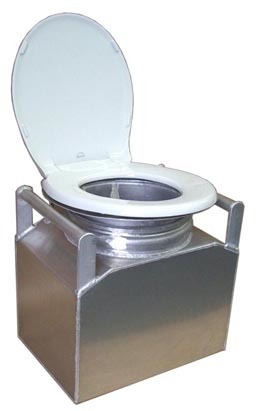 Do you have your own portable toilet? We can service it for you! Weather you need it serviced one time or on a regular basis just let us know! We also service/Clean River toilets(Groover). Has Septic Masters has serviced your advanced wastewater system or done service to your septic system? They have decided to retire the business and in doing so, contacted us to continue service. We are NAWT certified and have had a long standing relationship with Septic Masters.We have worked in conjunction with Septic Masters for 10 years. Have a Advanced septic system or ATU? Some Counties in Colorado Require the home owner to have a O&M provider regular scheduled maintenance on there system. Counties requiring O&M Are: Jefferson, Boulder, Giplin, Clear Creek, & Tri-county. JET Wastewater Treatment Solutions Inc. Contact Jason@cosanitary.com Or 303-526-5370 for more info!